As Goa is famous for its serene endless beaches, there are some other attractions that the state offers for the tourists. Goa is a state of diverse locations. On one side there are spectacular beaches, sand and rocks, whereas at another side you will find lush green fields and small quiet hamlets and picturesque villages. Goa has quite a strong historical background too. The state has some heritage forts that are worth visiting. And one such historic fort is Alorna. 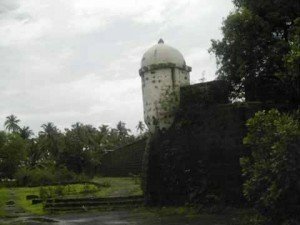 One of the famous forts of Goa is the Alorna Fort. The Alorna Fort of Goa is located in a small village of Alorna. It is a great site to visit and explore the banks of the Chapora River as it flows towards the Colvale.You can visit by most famous yacht or speed boat. It is an exceptionally scenic location overlooking a peaceful Chapora river.